Call on Burke Landscape Supply, we offer you maintenance repair for your seasonal equipment. Your Lawnmower Repair West Chester 19382. We offer the best prices for your reliable service. Burke Landscape Supply uses genuine parts for your Lawnmower Repair West Chester 19382 to ensure a quality repair. Best Maintenance Repair Practices in Delaware County PA to keep your equipment properly running and operating efficiently. Using a Best Maintenance Repair Practices is the best way to keep your equipment maintenance costs down. We offer genuine parts and will use only manufacturers specification to complete your lawnmower repair. Call on Burke Landscape Supply to meet your STIHL, REDMAX, ECHO, FERRIS repair parts needs. Lawnmower Repair West Chester 19382 Highly Recommended Burke Landscape Supply can Maintenance & Repair your mowers, trimmers, blowers and other equipment to standard manufacturers specifications in Delaware County PA. Good quality tools are essential in the proper maintenance of your landscaping needs. 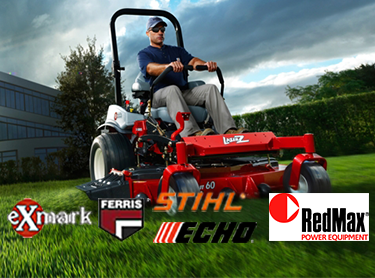 We service eXmark, Ferris, ECHO, RedMax and STIHL Lawn and Landscaping tools. Lawnmower Repair West Chester 19382 plus Great pricing on landscaping tools & equipment, landscape contractor equipment is available in Swarthmore PA. We provide Repair Service on most power equipment. Seasonally we have a full line of winter supplies and maintenance parts for your snow plows and salt melt. Find quality replacement parts for all major manufacturers. When you chose Burke you get instant access to the best products from ENCORE, eXmark, Ferris, ECHO, RedMax and STIHL for your Lawn and Landscaping tool parts needs.